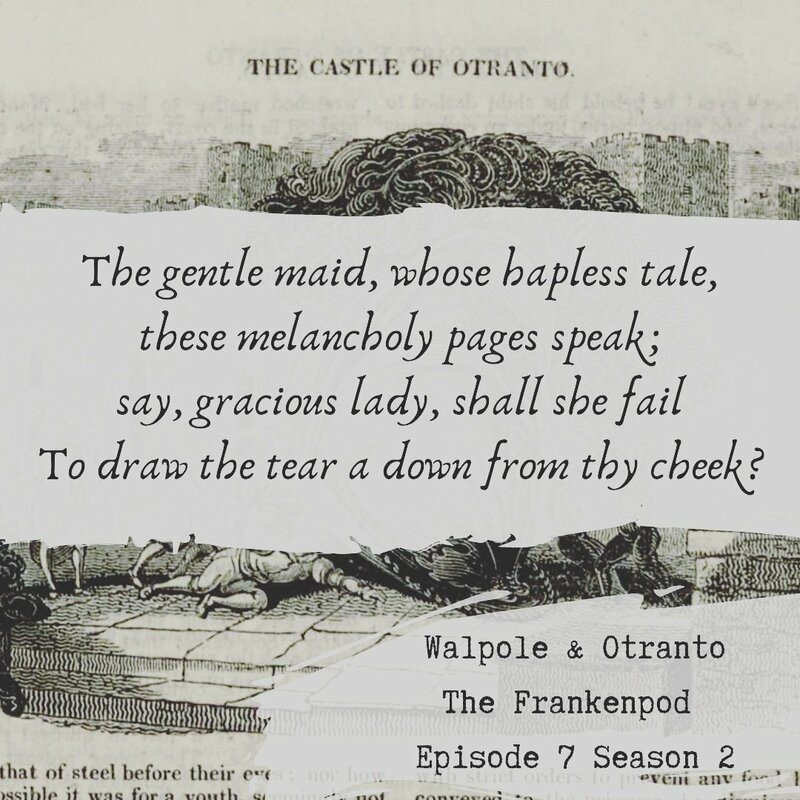 This episode of The Frankenpod Morgan tells Brent a bit about the first gothic novel The Castle of Otranto and its creator, Horatio Walpole the 4th Earl of Oxford, known for our purposes as Horace Walpole. Or search for The Frankenpod in your podcast app. 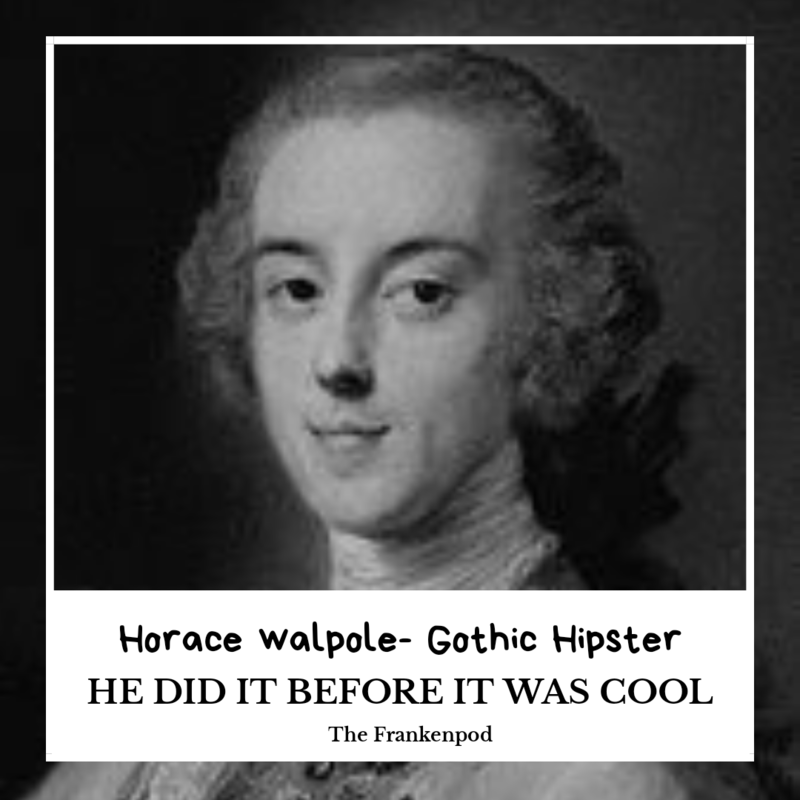 Horace Walpole was the son of the first British prime minister Robert Walpole and entered into politics himself as the elected member for Callington Cornwall. 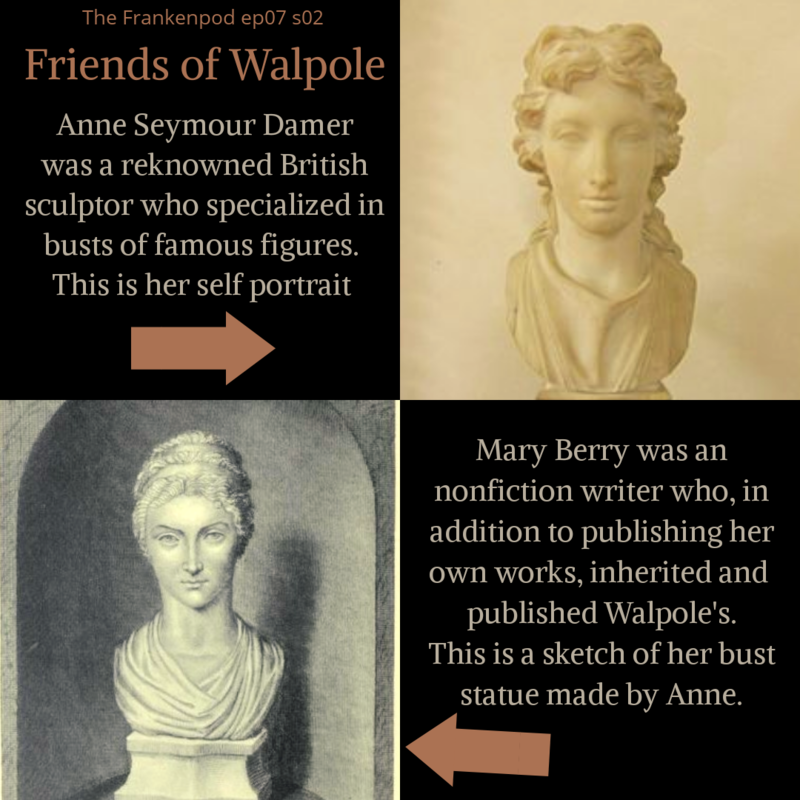 Horace Walpole never went to Callington. The constituency was what was known as a rotten borough which meant that an elected member of a very small area could be gain the same amount of influence as someone who was elected by a very populated area. 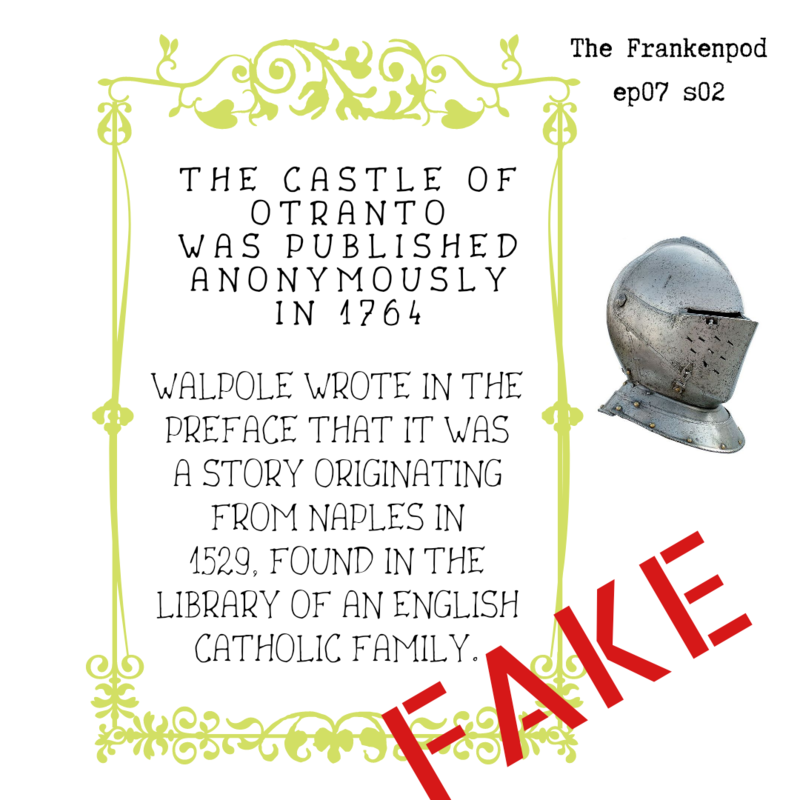 Horace Walpole published The Castle of Otranto anonymously in 1764, but the preface claims that it is a found text discovered by Catholic family in the north of England. It is a story in which a tyrant and illegitimate ruler of the castle of Otranto named Manfred attempts through various nefarious and immoral means to maintain his lordship of Otranto. When his son Conrad is killed by a massive helmet with a particular resemblance to the helmet on the statue of the founder of Otranto, Alfonso the Good, Manfred begins to panic and freak out. He tries to divorce his wife Hippolita and marry Isabella the young woman who his son was supposed to marry. Thankfully it turns out that more that one person or entity is determined to stop Manfred’s evil machinations.